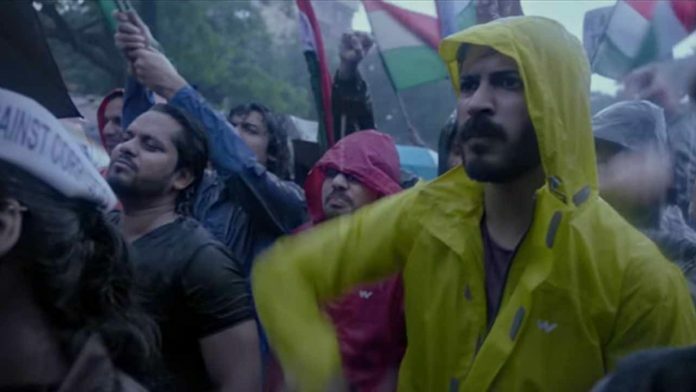 The Promos Of Bhavesh Joshi Superhero Showcases Harshvardhan Kapoor's Spirit For Justice In The Film! The Promos Of Bhavesh Joshi Superhero Showcases Harshvardhan Kapoor’s Spirit For Justice In The Film! Vikramaditya Motwane directorial ‘Bhavesh Joshi Superhero’ which is based in the metropolitan city of Mumbai has ranged over the city to showcase the lesser explored locations in and around the city. The upcoming vigilante drama focuses on the issues faced by the common man in Mumbai, wherein a group of friends takes a stand to voice against the injustice. Vikramaditya Motwane has shot the film in nooks and corners of the city which are generally devoid of exposure in Bollywood. Bhavesh Joshi Superhero is filmed at spots like a parking space in Lower Parel and the Oshiwara loading yard, railway stations premises including the Cotton Green skywalk and platform, Charni Road station and Jogeshwari in Mumbai. The makers also shot around the city in places like Karjat Dam, Marol Pipeline, Ghodbunder Road, etc, ‘Bhavesh Joshi Superhero’ has ensured to showcase realistic portrayal of the city of Mumbai. Based on water problems and the movement against the water mafia, Bhavesh Joshi Superhero shot at places like Karjat Dam and Marol pipeline, staying true to the plot. The poster of the film also showcases a pipeline in the background giving glimpses into the story. Director Vikramaditya Motwane was very particular about the cleanliness and ensured that the locations & sets were kept clean. As the film was shot in real locations, the director was cognizant in maintain cleanliness on locations. The film traces the journey of a group of friends who set out on the path of righteousness. Over a series of thrilling incidents, their life takes a curve, leading a common man to become a Superhero in the form of ‘Bhavesh Joshi Superhero’. Starring Harshvardhan Kapoor, Priyanshu Paniyuli and Ashish Verma as friends, ‘Bhavesh Joshi Superhero’ stars Nishikant Kamat in a negative role as an MLA who turns their life upside down. Previous articleBhavesh Joshi Superhero Is Shot Across Mumbai!